please call us so we may advertise them in advance. NOW ACCEPTING ON-LINE BIDS FOR OUR LIVE AUCTION. Register for a free LMAAuctions.com account (one-time registration). Log-in to Manhattan Commission Company’s sale and Request a Buyer Number. Due to the increasing numbers of online bidders and Buyer # requests, please register and sign-up early to guarantee that your online seat is saved and your buyer number has been processed. Manhattan Commission Company makes no guarantees that a user will be assigned a buyer number the day of the sale. We had a good run of cattle for our sale Friday, April 19th with the bulk of the run being Fall calves. The calves were selling at mostly steady prices, especially on the weaned calves. Lighter weight stocker cattle sold steady with a good demand. Cull cows sold $2-$4 higher and bulls sold $5-$8 on the kind offered. We had a larger run of cattle for our sale Friday, April 12th with many quality heifer calves and grass yearling cattle being offered, and they were selling at steady to stronger prices. Cull cows were selling $2-$3 higher on a large offering. For our special cow sale held Wednesday, April 10th, we had a large run of cows and a good attendance of local and our of state buyers. First calf heifer pairs were on very good demand along with the younger cow calf pairs. 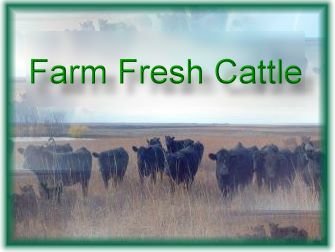 A larger offering of Fall bred cows and heifers sold with good interest according to quality and age. For our sale Friday, April 5th, steer and heifer calves were mostly selling at unevenly steady prices according to quality, condition and if they were weaned. Stocker feeder cattle were selling on a weaker trend. Cull cows and bulls sold steady on the high dressing kind and weaker on the low dressing cows.